Tips and things to consider when choosing an online casino in Nigeria! 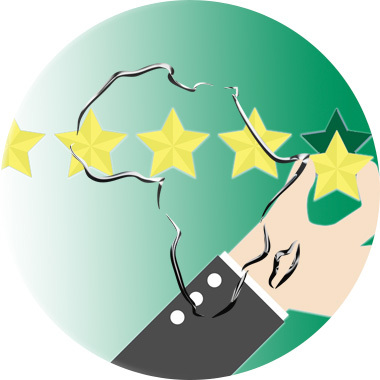 For us at Africacasinos.com it is important that we are transparent with what we think is the most important parts when choosing an online casino in Nigeria as that gives an insight in how we make our rankings and reviews. In this section we will explain the details on what we think is the most important parts when going online playing casino for real money. Choosing an online casino is not easy as there are many out there. 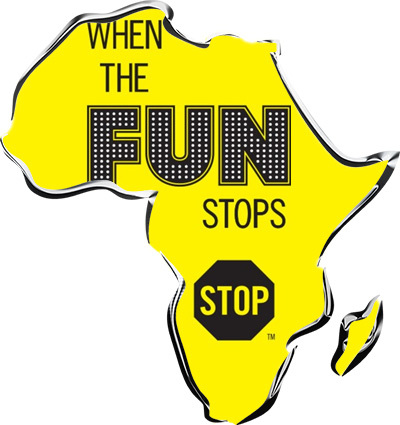 That is why Africacasinos is here to help. We will make a selection of trustworthy online casino alternatives on the Nigerian gambling market. Therefore, it will be easier for you when choosing an online casino in Nigeria. By being transparent with our users we hope to become a strong force in the Nigerian online casino business. By that we can negotiate even better deals and bonuses for our players. This will provide an understanding to what is the most important part of the online casino market in Nigeria according to us. Having read this section, the reviews of online betting portals such as Nairabet will make more sense. Please read this section carefully as some of our tips also applies to other online activities. To answer the question “Which is the best casino online in Nigeria” you need two things. On one hand, given selection criteria for an online casino to qualify for the rankings. On the other hand, you need to compare and rank casinos weighed against each other. After such analysis is made, you can transform it into a “ranking”. At Africacasinos.com we have made our analysis and found out that 6 fundamental pillars always forms a part when making a ranking of online casino sites in Nigeria. Below we will explain each fundamental pillar and how we use them in the selection process. A to Z when playing or choosing an online casino, as well as doing online transactions, is always to be confident that the real money gambling site that processes your personal information is safe and reliable. It is precisely in this context that a serious game license comes into play. As a player you could always look for internationally renowned licenses such as South Africa, the UK, Malta or Gibraltar. Both of these laws have decades of experience in gambling supervision. The processing of payments, among other things, is part of their work. Payments are also to processed according to principles that counteract all forms of fraud. Supervision of game developers and the specific games are also part of their assignment. Therefore, “game fairness” is a concept that is real and supervised in a licensed environment. Finally, they also have a role in gaming responsibility, which we think is a matter of course; no one will have to play for more money than you can afford. There are starting to come specific Nigerian online casino licenses, but there are still uncertainties on what is really the legal route forward. Today, there is also not a united gambling authority in Nigeria, why there are some uncertainties regarding supervision of Nigeria licensed online casinos. Certain jurisdictions we watch closely and with care. The legislation in Bermuda, Belize, Bahamas and Costa Rica and in some cases Curacao (there are also serious activities here). These licensing laws have somewhat fewer rigid requirements regarding the above-mentioned supervisory areas. There is of course legit business also in those jurisdictions, but we rather prefer some of the major African or European licenses. A Najian casino site that ends up at Africacasinos.com has a wide and varied range of casino games of all kind; ranging from slots and table games to lotteries and poker games. Therefore, when choosing an online casino listed here, you will have a good chance of finding what you need. We also like the possibilities to bet online in Nigeria. After the operator’s lobby could show more than one game service provider in the late 2000s, we see casinos online offering over 1 000 slot games. This is a good sign we think giving all players something that they like! At all, it is the game offering in combination with how to expose casino games in the casino lobby that can make a player choose a particular casino site in front of others. In Nigeria, for example, the casino operators always show the games that they consider best for the Naijan market. The games you often see at the first site are among other top sellers like Starburst, Gonzos Quest or Book of Dead. The development of live casino has completely exploded in Nigeria and the rest of Africa. As internet becomes faster the possibilities to play live casino in Nigeria has increased rapidly. Evolution Gaming, one of the best live casino providers, is now offering their services at some sites on the Nigerian casino market. We consider the offering of live casino a very nice feature when choosing an online casino in Nigeria. It’s hard to get closer to a real and true casino experience, as when playing with a real dealer through a streamed live broadcast on a live casino. A serious casino offers at least one of the most popular table games from Evolution Gaming and a few other game variants from other manufacturers. Most importantly, we want the casino to offer generous bonuses with reasonable and achievable wagering requirements. A good sign is that online casinos also include regular players in their bonus offerings. That adds great value for all online casino players on the site. When choosing an online casino we consider the bonus to one of the most important parts. For a new player there must be a good welcome pack, where you also with a smaller deposit have a chance to win the big money. A package that offers a deposit bonus that, for example, matches your first deposit with 100% along with free spins is a good example. The important thing is that this package can also be “put into practice” meaning good wagering requirements. According to industry standards, the player must turn over the bonus money between 25-50 times (many times 35 times). In the case of free spins, we have noted a positive trend in the last few years, where you as a new player can quite often get free spins without requirements. The times you are offered free spins without requirements you should really take the opportunity! As regards to incentives for regular casino players, the casino should make potential customers aware that there is a chance of “uploading new bonuses” – such as reload bonuses – if you are a loyal player. Other VIP opportunities such as “compensation points” that later can be switched against either money (or gadgets), freerolls (free tournaments for money or other prizes) and daily promotions we think most serious casinos will use to retain online casino players. We want to deposit and withdraw money smoothly, safely and quickly when we play casino online. A quality casino online therefore has the full range of payment methods ready, including e-wallets like M-pesa, Neteller, Skrill and in some cases Paypal. Payment processors like Trustly and Sofort are also looking into the possibilities to enter Nigeria. Otherwise, it is always a standard to offer bank transfer, VISA and MasterCard debit cards and prepaid cards such as Paysafe and Entropay. Then, of course, it is not enough that the casino operator only offers these payment methods for deposits and withdrawals. We also want to see a confirmation that the payments work quickly and smoothly. This is a factor that plays a significant part in competent customer service personnel. All this must be considered when choosing an online casino in Nigeria. A casino that considers itself credible should have a customer service that answers questions and solves problems. Basically around the clock, every day. In addition to payment issues, the support department should be competent in terms of product range. They need to understand mechanisms like how slots pay out winnings to players, turnover requirements for bonuses and a lot of other things big and small. In addition, they should have a service-oriented approach to you as a player, otherwise it’s simply not fun to come back and play. Clear communication for us is: phone (no need to be available 24 hours a day), email and live chat. In the navigation on the casino site, it should be easy to contact customer service through any of these methods. Today a mobile-friendly casino is standard and hardly seen as an extension anymore. It is rather necessary, as Nigerians more or less play casino online more via the mobile than the desktop computer or laptop. You must be able to play your favorite games – slots and table games – via your mobile. That is important when choosing an online casino. This does not always depend on the extent to which the casino operator has customised their page. Rather, it depends on the game developer’s mobile adjustments. The largest and most exposed online slot machines manufacturers – i.e. NetEnt, Microgaming, Playtech and Yggdrasil – are at the forefront on mobile casinos. While other older classic operators do not really have “customised” all the titles for mobile use yet. In other words, it may be possible that you cannot play an old slot classic from the early 2000’s via your mobile or tablet. Incidentally, the entire casino site must be compatible with all standard mobile platforms such as Android and iOS. When we quality-review and test mobile-enabled casinos online, we always look at the web version or casino app’s navigation and site architecture. We look for the way the mobile web site or app is built. The web site or app shall be intuitive and logical to us as a user. If it is easy and easy to navigate between casino games, payment features and lobby sections, the answer is in the initial state “Yes”. Online casino in Nigeria is increasing every day and growth is forecasted to continue for several years to come. There is no doubt that casino games are a fun leisure activity. But we all have different views and approaches to the game. One segment of players plays casino online as a form of short-term reality escape from everyday routines in life. It can be a hard time in school or work. Another player segment has a need to always feel the adrenaline pumping. Often that only happens when the stakes are high. Both types of players have one thing in common; their needs and attitude to the game can lead to gambling problems, where limits on how much they play eventually disappear. The consequences of this are unfortunately that such players always play for more than they can afford. And to an extent this can culminate in both financial and more serious social problems. We do not want to change your personal attitude to casino if you are a casual player. But we hope that you, like us, strive for a higher awareness of your own gambling patterns. We strongly believe in a future where more online casinos make their players more aware of their gaming situation. This is often an underestimated feature at the online casinos. The best thing we can do is pay attention to you as a player on which casinos work best around issues within gambling problems. Such work is important to us and also a factor when choosing an online casino. Good luck with your gaming! But don’t forget to set your bet limits before you play at one of our recommended casinos!